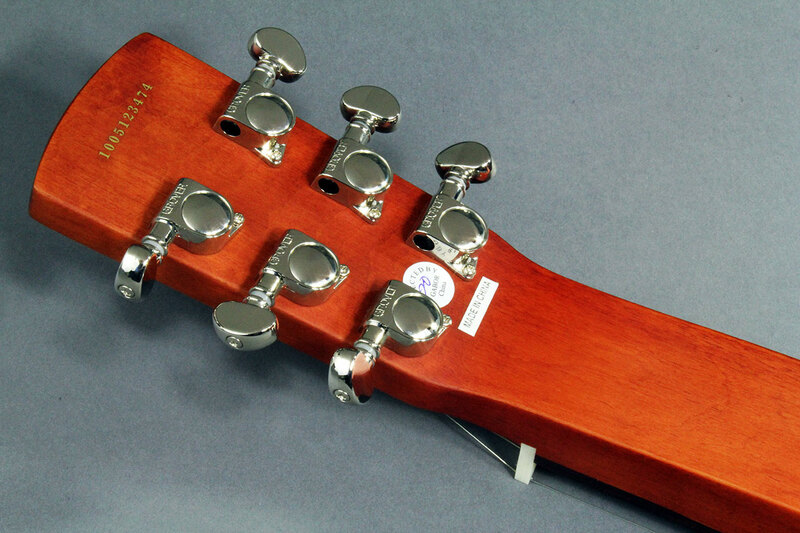 Pricing $489 CND with hardshell case! 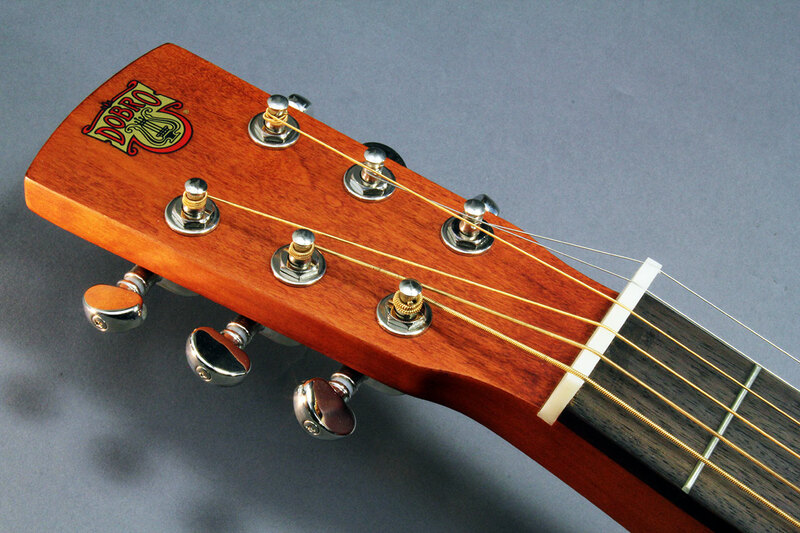 Neck Mahogany neck with unbound rosewood fingerboard; pearl dots. 25″ scale. 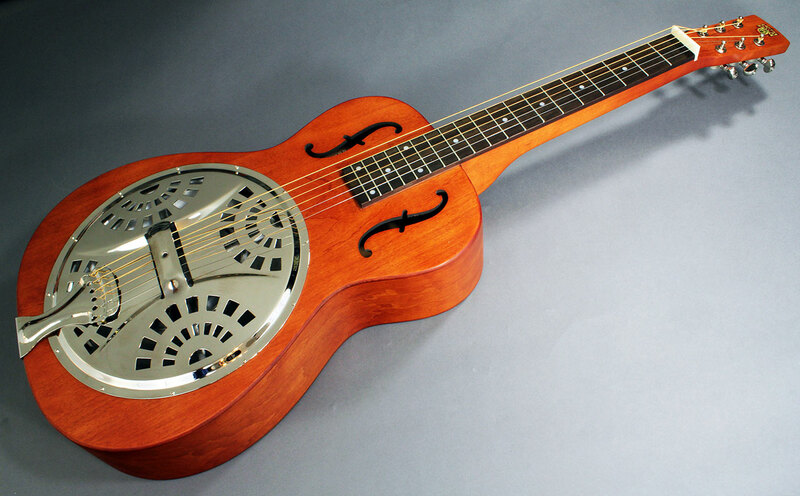 Frets While unnecessary except as markers, this instrument has 19 narrow frets. They will never wear out! Body Maple ply F-hole body with soundwell construction. Finish Thin satin lacquer finish with a walnut stain. Hardware/electronics Chrome Grover sealed gears; Tusq(tm) nut; spider bridge with maple biscuit and ebony saddle; nickel-plated fan-style resonator cover and nickel tailpiece. 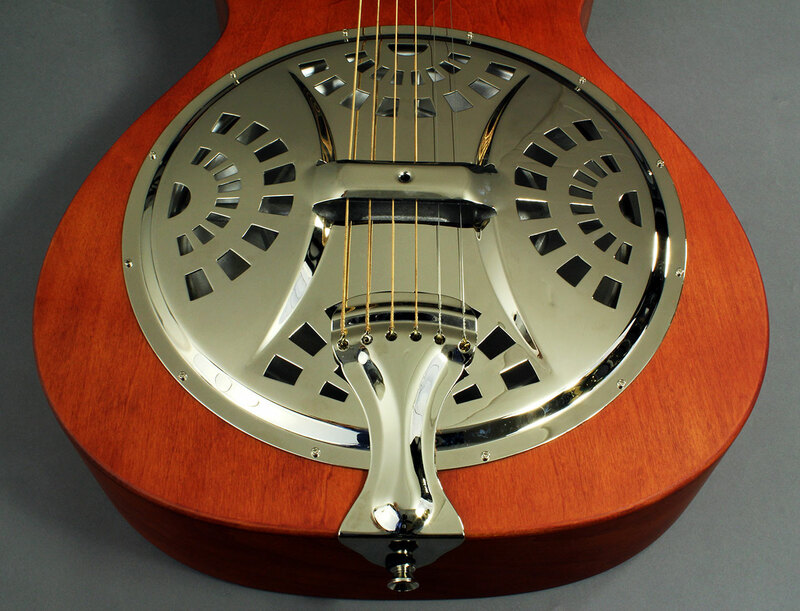 Dobro resonator. Playability/Action Action is always kind of high on a squareneck, since they’re intended to be played with a steel. 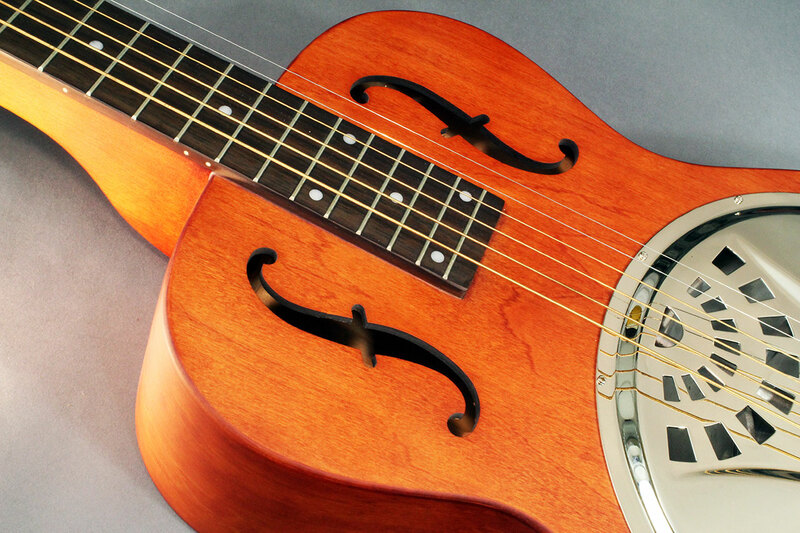 The resonator cover provides a well-placed palm rest. Comments This is an excellent entry-level squareneck. While it may not match other makes in terms of volume or projection, that’s not always an important distinction. It’s a well-made, good-sounding instrument that can easily take you into the wonderful world of squarenecks. Check out the links below to the Hollowneck Report to hear Burke Carroll and Chris Bennett demonstrating what a squareneck can do. You’ll understand right away why you *need* to have at least one! Here’s a link to Part 2 of The Hollowneck Report featuring Burke Carroll and Chris Bennett and a variety of squaqreneck guitars!